From the Official Guinness Merchandise Collection celebrating the 250th Anniversary of the Brewery's birth in Dublin,Ireland. 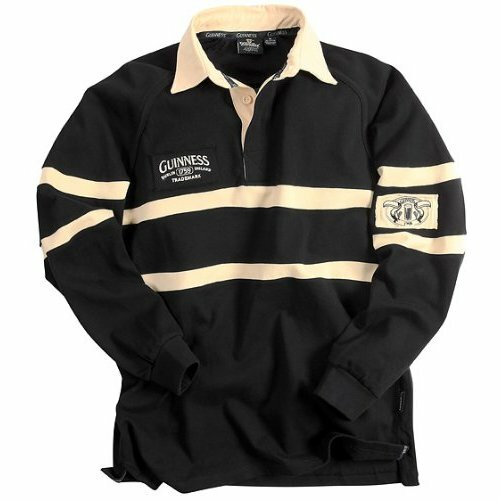 This 100% heavy weight cotton traditional jersey is a must have for Guinness fans.The cold months are upon us. Make sure you stay warm this season with the look of Guinness. Black jersey has two cream accent hoops around chest and arms.Traditional rugby collar is also cream in color for a more even appearance.Classic Style! Cotton Toucan patch is stitched on middle of the left sleeve. 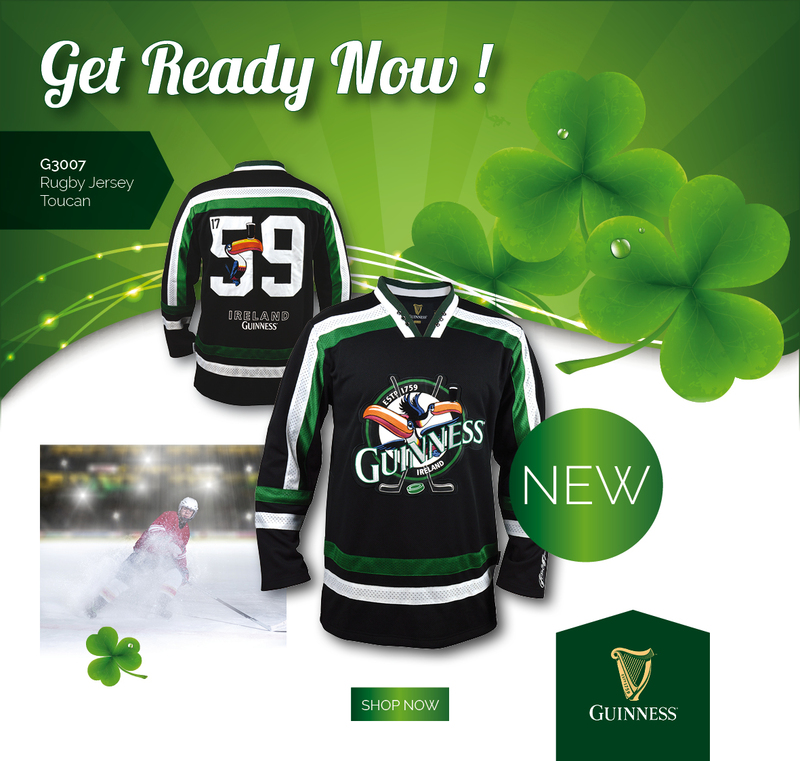 TRADEMARK Guinness patch is stiched on right chest. These jerseys are standard American sized.